In the Urban Innovation Exchange series, Editor Matthew Russell highlights the people and projects transforming West Michigan through sustainable efforts. From education to city building to recycling, these are the leaders making change in our communities. How do you feel about the quality of your school district? In most cases, this isn't answered in a few words. There are a lot of factors involved. Emotional, deeply held, personal factors. Some pride, some disappointment, anger, and exuberance. Students hold these feelings. So do their parents. So do teachers, support staff, administrators, and community members. And the Grand Rapids Public Schools district wants to hear them. Superintendent Teresa Weatherall Neal, Executive Director of Communications John Helmholdt, Student Retention Recruitment Program Coordinator Kyle Pray, and the Board of Directors want to incorporate them into the district's Transformation Plan that began five years ago. And they are. Every word. Lean thinking is improving our city. It's making utilities more effective, departments more capable, and resources more available. In both the public and private sector, it transforms business as usual into something better than what was before, with lasting, systemic change. It helps leaders and policy makers see problems from a different point of view. Lean Thinking initiatives promote designs that foster process improvement through feedback and empowering those working on a project with its reformation. Led by "Lean Champions," like those certified in GRCC’s Lean Champion Certification program, these initiatives often approach problems through consolidation and elimination of wasted time and effort. At the city level, Inventory and Asset Manager and Certified Lean Champion Alen Ganic applied those principles to reduce the wait time for water permits from over two weeks to a single day. 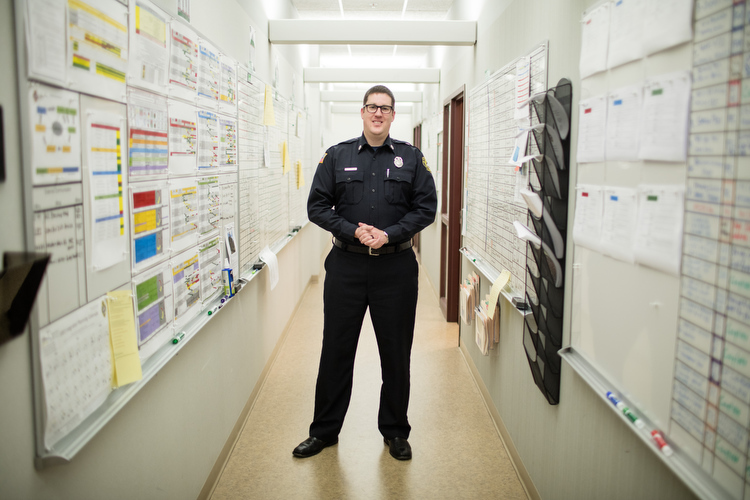 Meanwhile, Brad Brown, captain of the Planning Division and Lean Champion for the Grand Rapids Fire Department, implemented a Lean process that helped the GRFD obtain a new fire truck, and simultaneously realize a savings of $23 million over 20 years. When Andy Van Solkema and his wife were designing a deck behind their Byron Center home a few summers ago, they knew they would need the right tools. Some hammers, a post-hole digger, a level, and empathy, just to name a few. In looking at the difference between the essentials in each situation, and redundancies, or noise, helped the Van Solkemas build, in the end, a deck "we were really proud of. 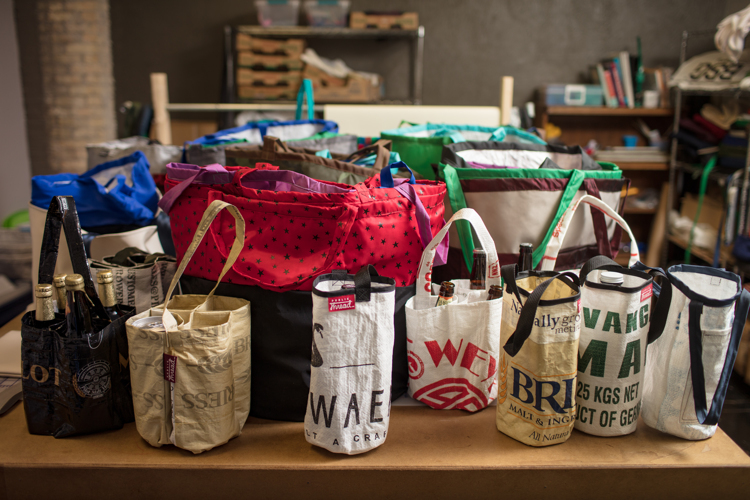 It had a few flaws and areas we could improve, but that's what further iteration is about." It was once rare that the fields of architecture, and more-so, digital architecture, and human emotion overlapped. But the intersection is crucial not only to the basis of good software, however, it's the foundation of good software companies. 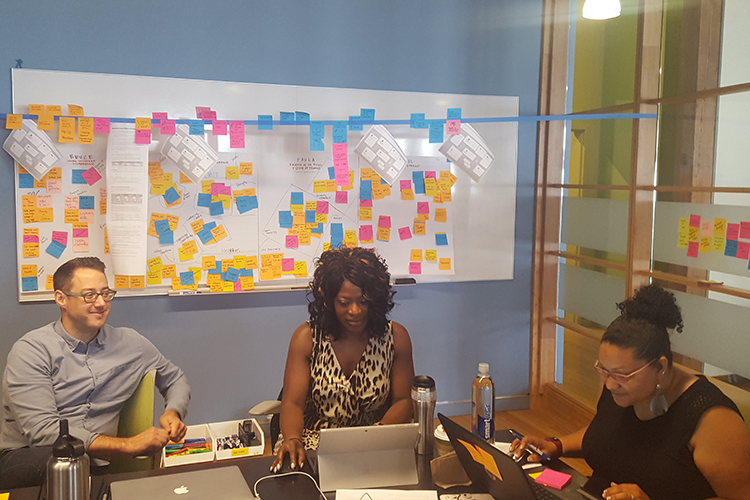 Technology and design organizations across West Michigan and the world are taking a more empathetic approach to their work, and starting off from their end users' point of view, building products and systems that change lives instead of adding inessential frustration. Now vice president of digital strategy & experience at Open Systems Technologies, Inc., Van Solkema applies empathy to his work every day. His company, Visualhero, was acquired by OST in 2016, adding a crucial piece to the West Side tech firm's tool kit. Van Solkema's creativity and design prowess is now being applied to human-centered product strategies. "As ubiquitous as the term 'design thinking' has become, the principles can be applied at every level of the process," Van Solkema says. And through that process, from walking a mile in someone else's shoes, to defining a tool that would help guide them through pain points, to scaling that tool to a greater population and incorporating a feedback loop into its delivery, life-changing ideas are brought to life. When her child wouldn't latch properly, a new mother in Grand Rapids grew worried the baby wasn't getting enough milk. She reached for the most reliable tool she had access to. Not a pump, or a bottle. She picked up the phone, took pictures of her baby and her breast, and sent them to lactation counselor Paddy Raschke. Within moments, the baby was nursing properly. Paddy had assessed the latching issue and directed the young mother to a successful milk delivery over text message. There are few roles more important than taking care of a new child, and possibly even fewer filled with more uncertainty. Especially for first-time mothers, the responsibility of nourishing a child for the months following its delivery can be even more arduous than those preceding it. Breastfeeding mothers have no lack of support, especially in West Michigan, but it's how they connect with each other both on- and offline that helps spread awareness of that support. It takes a lot of planning and effort to keep garbage from polluting the environment. Depending on the soil composition and particular statutes in place, different materials can be used to make sure trash doesn't leach harmful chemicals into the local water system, but landfill cells throughout the United States are essentially managed the same way. Layers of geosynthetic substrate, bentonite clay, composite mesh, and varying grades of stone and sand are placed into the cell before the first load of garbage is ever delivered. Landfill cells in West Michigan average under 10 acres each, whether found at the South Kent facility in Byron Center, North Kent Transfer Station in Rockford, or Waste Management facility in Zeeland. Once functional, a cell of such size can reach capacity within a year. And then a new cell is built into the network. Getting trash to the landfill is as simple as pitching it in the trash and waiting for your weekly pickup day. Keeping it out, however, takes some creativity. Recycling facilities and composting, when managed effectively, can divert around 90 percent of the material originally bound for landfills into more usable states. Is this a commonly practiced habit, however? The Michigan Department of Environmental Quality estimates that $435 million in recyclable material makes its way into state landfills every year. That’s a lot of wasted resources, but there are also a number of groups finding new ways to bring that number down.